The depreciation of electric vehicles is set to stabilise as models become more mainstream argues automotive data expert cap hpi. The company has analysed how electric vehicles are performing in the three largest markets in the EU to compare trends in Germany, France and the UK. 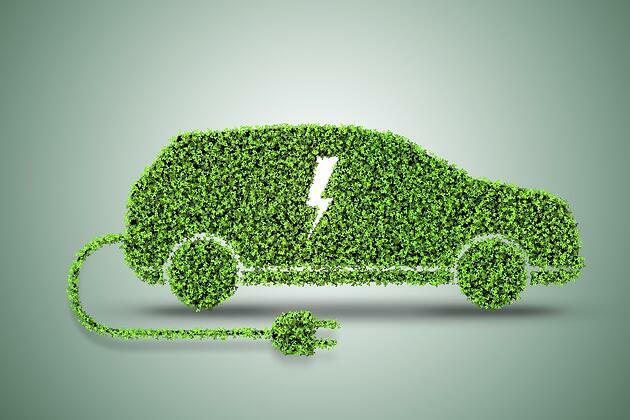 Many manufacturers are set to electrify their entire product range by the middle of the next decade, and national governments are actively planning a decarbonised public and private transport network. The study looked at a basket of eight battery-electric vehicles, choosing similarly specified models to allow for a cross-market view. These models are BMW i3, Hyundai Ioniq, Kia Soul, Nissan Leaf, Renault Zoe, Tesla Model S, VW e-Golf and VW e-UP. Diesel has dominated the French passenger car market: as recently as 2012 diesel accounted for 73% of new registrations. French OEMs are strong proponents of electric vehicles, with Renault and PSA both offering BEV ranges. Alongside them, the specialised brands like Bollore, whose Bluecar is a common site in Paris, Bordeaux and Lyon as part of the Autolib’ car sharing scheme. By 2022 there should be 100,000 charging terminals, with financial support from the Government and the electricity industry. A target of 1,000,000 battery vehicles on French roads is planned by 2022. The study finds that in percentage terms, there are clearly stronger performers: The Hyundai Ioniq and Tesla Model S lead the field with RV of 38% and 37% respectively; for Tesla, this can be ascribed to the brand’s premium status; for the Ioniq this is due to demand exceeding supply. The strength of the environmental movement in Germany – the Green Party, was in government 1998-2005 in coalition with the Social Democrats – means that there is considerable pressure on the automotive industry to move away from fossil fuels and towards a more sustainable business model. Depreciation in terms of Euro value is linked to brand status: the premium brand BMW i3 outperforms its non-premium competitors by over €1,000. Similarly, segment makes a difference: the Lower-Medium (C-segment) Hyundai Ioniq and VW Golf are valued higher than the Supermini and City Car models. The UK has one of the largest low-emissions zones in Europe, currently operating in London. Older vehicles are also required to pay the Emissions Charge. In response to rising levels of pollution, low- and zero emission zones will be rolled out throughout the UK: the local government will control these zones, and in many cases, the initial target will be diesel vehicles. This is already having a negative impact on diesel vehicle sales. The UK market shows a definite trend to pricing: around the £30,000 mark (€34,300), the exception, of course, is the Tesla Model S. The premium BMW i3 outperforms the mainstream competition; as does the semi-premium (in the UK) VW e-Golf. Matthew provides market intelligence and insight through the creation of specialist and bespoke business reports. He keeps abreast of current automotive market trends and the economic factors that affect new, used and future car markets. Used car values weaken in February. Aston Barclay chooses cap hpi as exclusive data partner.. Dealers benefit from real-time market data. Copyright © 2019 cap hpi. All rights reserved.